“Recently, the North East Local Health Integration Network (NE LHIN) approved the tri-party partnership proposal between the Dr. H.S. Trefry Memorial Centre, Algoma Manor Nursing Home and North Shore Health Network Community Support Services (CSS) to expand transportation services in East Algoma from Bruce Mines to Thessalon where gaps and barriers have been identified. For the Dr. Trefry Memorial Centre, this meant expanding our current transportation program’s geographic catchment area that previously ran from Echo Bay to Centre Line Road, to now include all of The Township of Plummer Additional, The Towns of Bruce Mines and Thessalon and the portion of The Municipality of Huron Shores that falls within that region (includes, Nestorville, Little Rapids and east to Station Road). 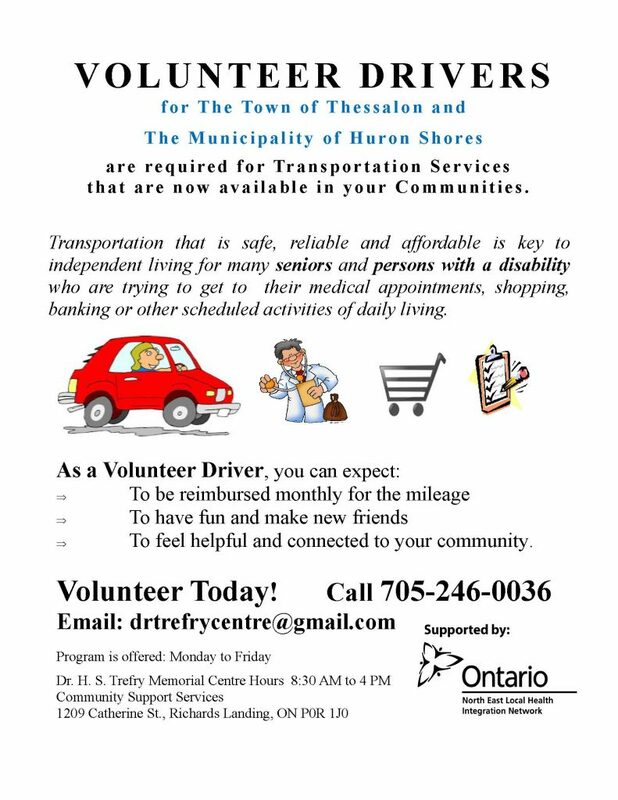 The Trefry Centre’s Transportation program is dependent on screened volunteer drivers using their own vehicles to deliver the door-to-door service; and who are reimbursed monthly for their mileage at 40¢ per kilometer. We are reaching out to the Towns and Municipalities in the newly expanded area to ask for their help in recruiting volunteer drivers from their communities. Attached is a copy of our transportation program and general flyer that provides more information about the Dr. H.S. Trefry Memorial Centre. 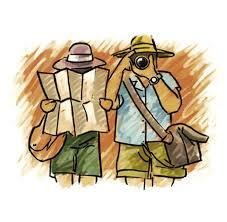 We would be most grateful for your assistance as this new initiative is rolling out and appreciate hearing any ideas you may have that could be beneficial in volunteer recruitment and promotion of the expanded service. As word of the new transportation service is starting to spread, we are happy to report that we are receiving calls from your area for rides and have been successful in honouring them through our collaboration to share resources with NSHN CSS in Blind River.